Lingotek’s Translation Network connects and delivers your content to global audiences through the best technology and a bigger network. Go beyond translation. Work for The Translation Network? Learning about The Translation Network? Smartling works with major content platforms and workflows to help leading brands seamlessly integrate translation into their systems. PhraseApp is a software localization management platform for the translation of websites, software, spreadsheet content, and mobile applications. Translate with your team or leverage professional translation services and machine translation. Lokalise is a localization and translation management tool for mobile apps, websites, games, IoT and software in general. Software localization management platform, designed for collaborative and crowdsourced translation of mobile and desktop apps, websites, games, and others! memoQ server is the translation management system of choice for enterprises and translation companies all over the world. Memsource is the translation management system for global companies wanting to improve localization efficiency. Increase quality and speed with the neural feedback loop, which combines human ingenuity and machine intelligence in a virtuous cycle. 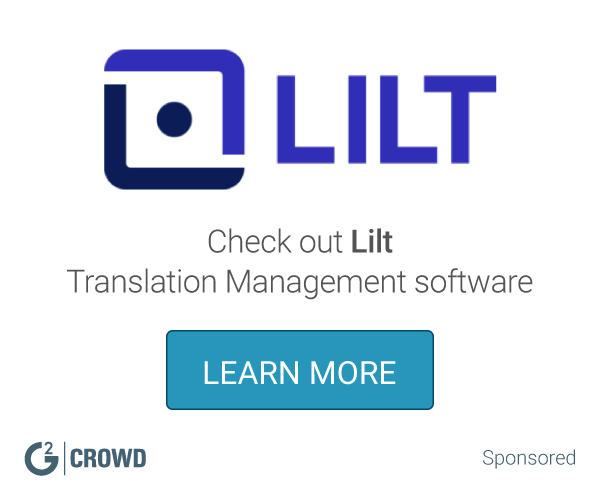 Lilt builds intelligent software to automate translation for businesses and translators. Website translation, simplified Translate your website with 1 line of code. * We monitor all The Translation Network reviews to prevent fraudulent reviews and keep review quality high. We do not post reviews by company employees or direct competitors. Validated reviews require the user to submit a screenshot of the product containing their user ID, in order to verify a user is an actual user of the product. Hi there! Are you looking to implement a solution like The Translation Network?